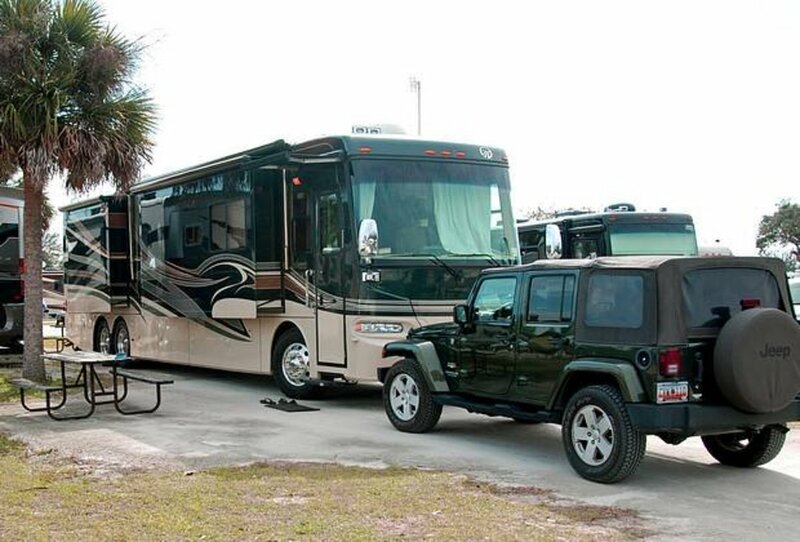 If you own and use a motorhome, travel trailer, fifth-wheel, or even a small pop-up, one of the things you will need to do often is back your it safely and accurately into a campsite or tight parking space. 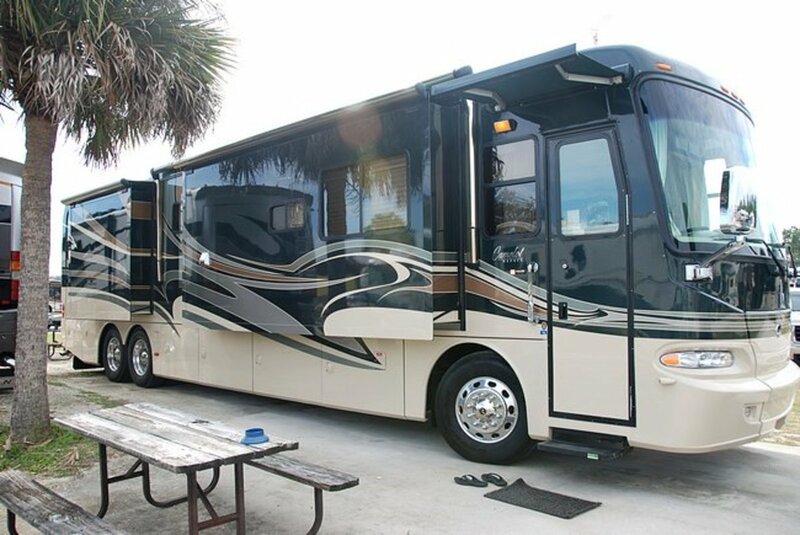 At times, especially with a motorhome, it can be really hard for the driver to determine exactly where the rear end of the RV is and where the rear wheels are sitting. This article details a simple three-step procedure that you (the driver) and your navigator can follow together to back your RV into the exact place the very first time, every time. 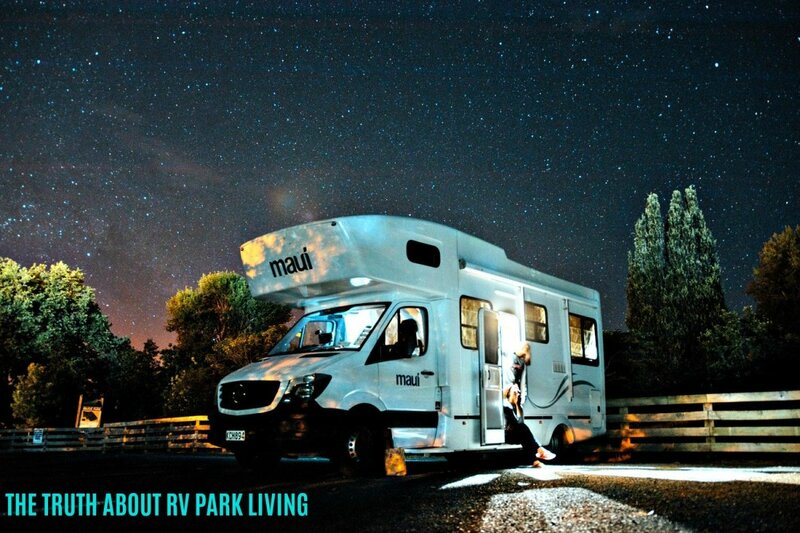 To prepare your motorhome for easy parking, you just need to go to an office supply store and buy a package of brightly colored (red, orange, etc.) stick-on dots. Go to the driver's side of your rig and measure from the center of the left-rear drive tire to a point approximately eight feet forward of that point on your RV's body. This point is the critical alignment point for your rig to start its turn into your site. At that point, place one of the sticky dots onto the side of the rig near eye level for your navigator who will be guiding you into your campsite or parking site. Make sure it is easily visible. This is your reference point for step one of the parking process. Repeat this on the passenger side for those rare instances where you will be required to back into your campsite from the opposite side of the street. That's It! Just by using this marker you and your helper (navigator) can get your RV backed into any campsite easily without any guesswork involved. You and your navigator will need to communicate with each other at certain points in this process, so you can either use walkie-talkies or hand signals. 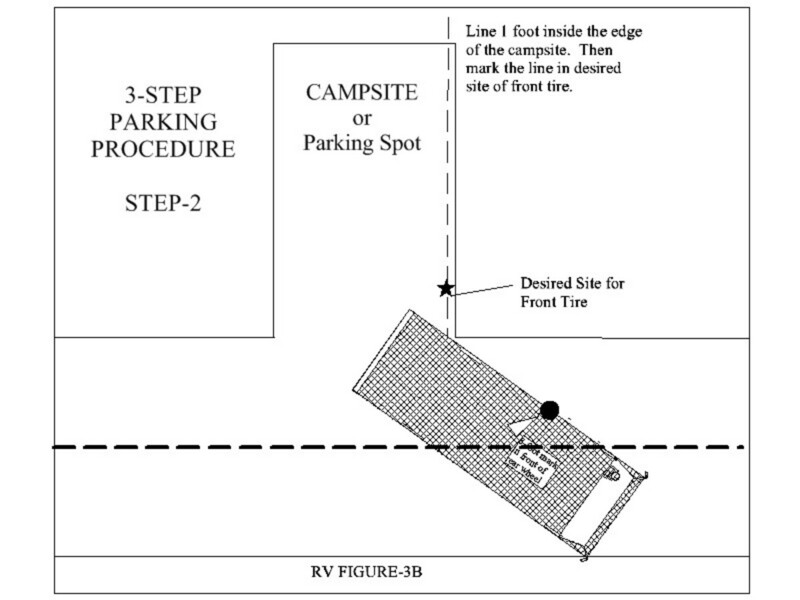 The navigator must be outside the RV and directing the driver into the parking site during this whole process. And, of course, the navigator may have to move around so that the driver can always see them during this process. Your navigator must define a line into the campsite that is one foot inside the edge of the campsite. This is where your RV’s tires will end up, as shown below. Your navigator should stand on this imaginary line at the front edge of the campsite and hold their arms straight out in front of themselves to indicate the street edge of the campsite. Once your navigator is in place, you, the driver, should pull your rig slowly forward, keeping the body of your rig almost touching your navigator's hands, until the navigator drops their arms, indicating that the marker dot is right where their hands were (see the image below). Note: Once your camper is inside the site make sure that once you are backed into the campsite, your slides will be able to clear any vertical obstacles like trees, power stands, etc. This is the part that gets your RV aligned so it can then turn properly into the campsite. While in the position shown for Step 1, the driver should turn the rig's steering wheel fully to the right, then pull forward until they have crossed the street as far as possible, then stop: as shown in the picture below. On a street of typical width, this should put your right rear tire on or very near your imaginary line at the front corner of the campsite. Once you have pulled forward, you will be positioned where your rig can be backed into the campsite without overshooting the campsite entrance. 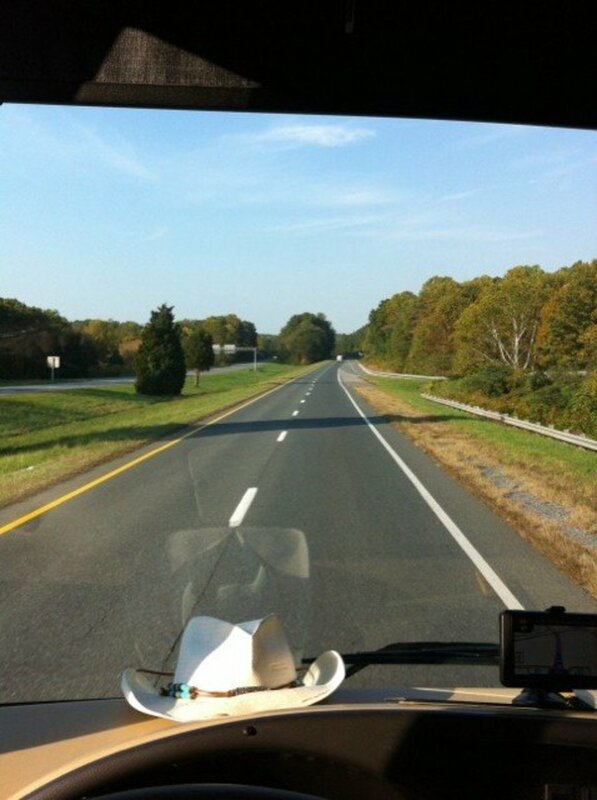 First, you must turn the RV's steering wheel fully to the left and begin to back it up. 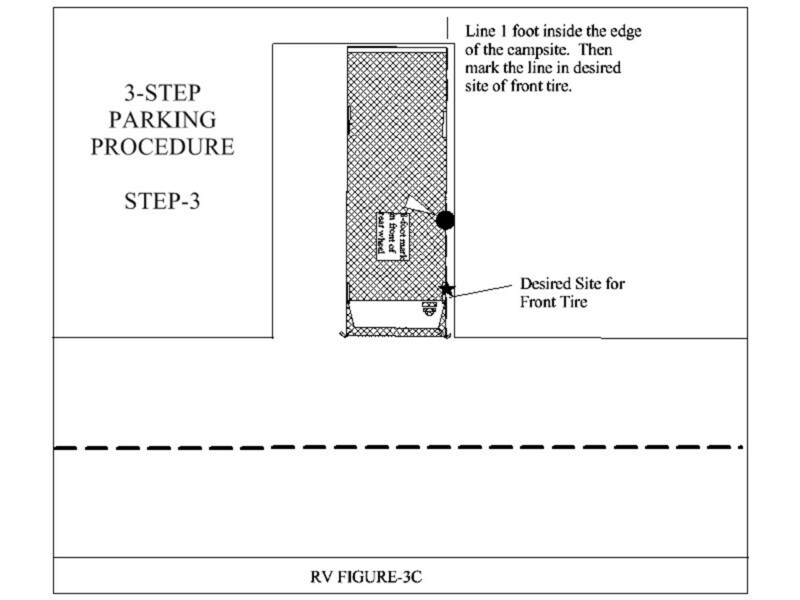 The driver can now adjust the steering of the RV to remain on a straight line into the campsite until the front tires are on the imaginary line. 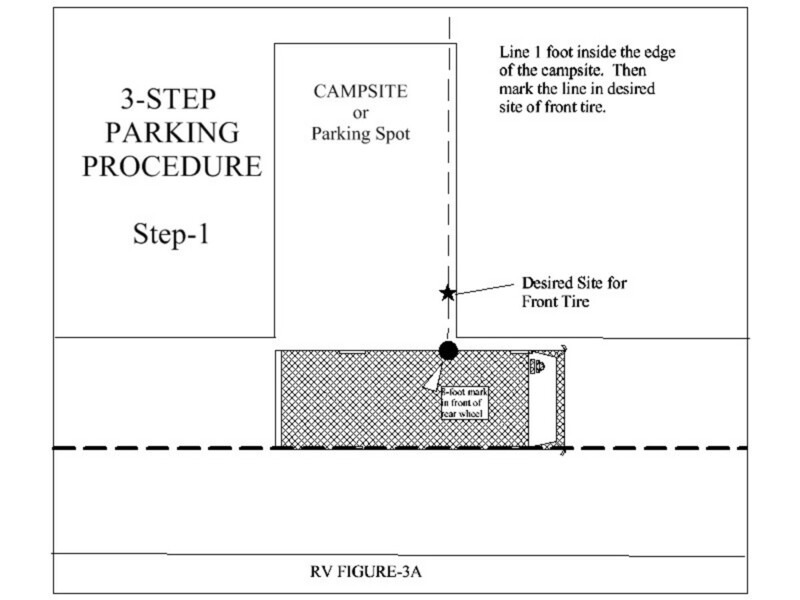 At this point, the RV is in the campsite and the driver can simply straighten the steering wheel and back straight into the campsite, as shown in the image here for Step 3 of the process. This three-step process works great for the novice driver until they become more comfortable with driving their RV. I use this procedure myself and I believe you will take a lot less time getting into that narrow campsite. Of course, while backing up, the driver should always use their rear camera and mirrors as tools to assure that they don't hit anything or misalign the RV once they are on the site. Your service center (sewage and water line) and power cables are accessible and within the necessary distance for easy hookup. With towable trailers, it's often difficult for the person towing the trailer to get it into a campsite or even a parallel parking space. The first thing the driver should have is a helper. This helper can stand behind the trailer but always stay in the driver's vision and using hand signals, help them keep the trailer aligned properly to fit into the campsite. It comes down to the fact that the distance from the pivot point of the trailer, or the hitch, to the wheels of the trailer is the important distance for determining the ease of backing a trailer up. 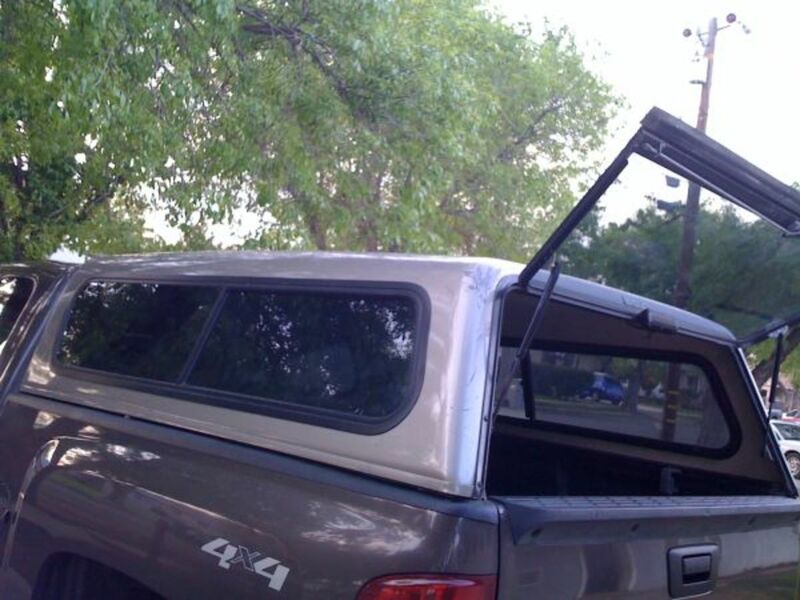 If this distance is very short, like with a pop-up camper or very short solid body camper, when you try to back up, the trailer will react very fast and to the extreme when you turn your towing auto/truck steering wheel. So the first thing to remember is to always back up slowly, and turn the wheel only slightly when you do adjust your alignment. If your camper is a nice long trailer or a fifth wheel, it is, relatively, much easier to back up and park than a shorter trailer. The other thing you must master is the art of turning the steering wheel, of your auto or truck doing the towing, in the opposite direction than the direction you want the trailer to actually turn. Once you get that down, your job will be a lot easier. The key bit of information that I can give you at this point is to simply go slowly. 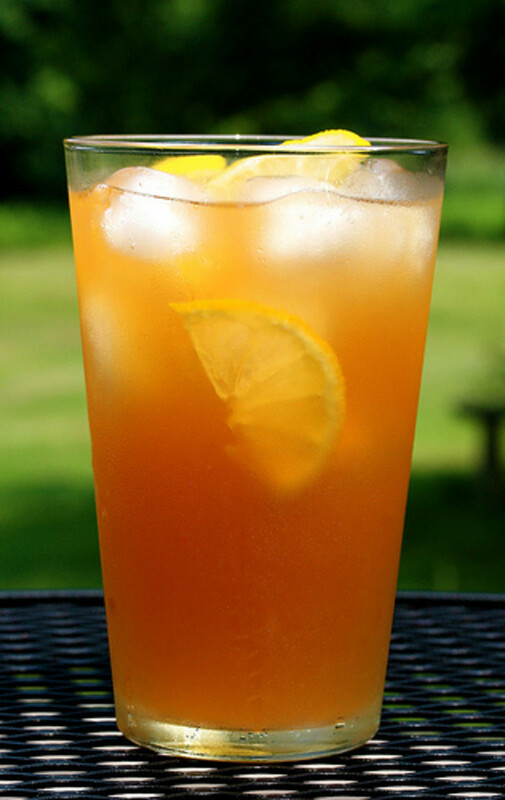 Take your time, and you will get into that site smoothly and often on the first try, just like the old pros. Jo- Sadly No. I can only suggest that you; take your time, be patient, get out several times as you go through the process, and it will work out for you. Just wondering if there's any aids out there that could allow to park solo? Have you come across anything low cost? Thanks, Didge, Glad that you liked it. I hope it will prove helepful to you in the future. Great hub Don Bobbitt, like it! Extremely detailed timely hub you have here! Voted up! This is a very detailed and very informative hub. Thank you for sharing.